Clary pulled the Mortal Cup from the card and was... disappointed. Well, at least, poor Jace was with, "Somehow, I thought it would be bigger" (349). Dorothea goes all freaky on them, explaining that there is something wrong with the Cup and they should just hand it over to her. Jace catches on, sort of, and refuses to let her have it. Then she gets ugly. Literally. Apparently, she was being possessed the whole time by Abbadon, a Greater, ugly demon. Dorothea was murdered by that thing, and now that thing wants the Mortal Cup and the Shadowhunter's lives. No one is having a really nice day, except maybe Simon who is outside waiting by the car. The demon fights with them for a while, injuring Jace's arm and almost killing Alec (well, his status as of this chapter and next is still on the verge of death). While everyone is worried about Alec, who seems to not be moving after the demon struck him, Abbadon is going after Clary. She doesn't have a weapon or anything that can save her, but she has the Mortal Cup. Jace runs up to Clary, saving her life and injuring the Abbadon. But their luck was about to be turned around when the demon lunges again, not giving up. Simon takes that moment to come in, looking pretty rocking with Alec's bow and arrow. He shoots at the skylight and the demon disappears. No one is in the celebration mode when Alec is taken back to the Institute in a very bad condition. Hodge does the best he can do to fix him up, but his blood is mixed with demon poison and for Hodge, "this is beyond my abilities" (364). He says he is going to send his bird, Hugo, to go fetch the Silent Brothers, but I don't know if he ever got around to that. After hearing that they have, indeed, got the Mortal Cup, when Clary takes it out of her hiding place, Hugo goes straight for her face, cutting her all over. Jace was knocked out in the mess of it. Valentine shows up shortly after that. "He bore little resemblance to the handsome boy in the photograph, though his eyes were still black" (367). All along, Hodge had set up a deal that Valentine would set him free to leave the Institute if Hodge had acquired the Mortal Cup. Well, he did but Valentine wants Jace as well. Hodge contemplates that negotiation and decides that he can Jace as well as long as Valentine gives Hodge what he wants. Finally he got his freedom and Valentine got Jace, "He'll be with his father soon... where he belongs" (370). "Then he vanished, taking Jace with him" (371). Hodge trapped Clary in an invisible bubble. He wouldn't let her out because "you'll only try to kill me" (372). She was stuck in the bubble, watching Hodge go about his business writing a letter and then living without saying goodbye to Isabelle and Alec, who is still waiting to be cured from the poison. "Somewhere beyond this room Jace was being shaken roughly awake by Valentine. Somewhere he mother's chances were ebbing away, moment by moment, second by second. And she was trapped here, as useless and helpless as the child she was" (375). Hodge left, went skipped down the road outside. He was free from that place. Clary wanted answers, to know were Valentine was. Hodge seemed to know but he wasn't telling. She discovered that she still had Jace's stele. She made a rune that came to her and then was off, out of that invisible wall, and down the street where she had seen Hodge last. She followed him into an alley. 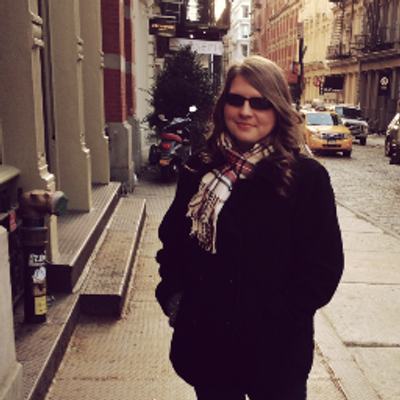 Hodge gives her the option of walking away from what she already knows, "I told you before... I can't just walk away" (378). So Hodge starts throwing flying disks at her: she ducks the first one but the second hits the wolf that jumps in front of her. The wolf injuries Hodge and grabs Clary by the leg. "Her head struck the hard pavement, plunging her into blackness" (379). Clary wakes up in a jail cell, well at least that is what it appears to be. Luke comes in and introduces himself as the wolf that has been showing up everywhere. You have to wonder how he kept it a secret all this years. Clary basically get Luke caught up to where the story has landed so far with Jace, Valentine, and Hodge. Luke owes her something for being mean to her, following her around, and telling her not to call him anymore. He decides to tell her his story of how he became a werewolf. What do you think Alec and Isabelle are thinking at this moment, not yet realizing that Jace, Hodge, and Clary are gone? ﻿﻿REMEMBER: Please try to give a minimum of spoilers unless it is about the chapters we have read already. 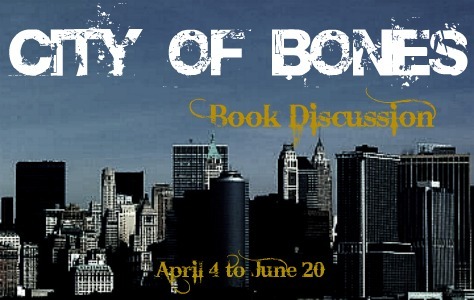 Also, every comment (one per post) on our discussion posts gives you extra entries if you are entered to win a copy of City of Bones.